Our team had so much fun volunteering at Family Promise of Grand Rapids today! 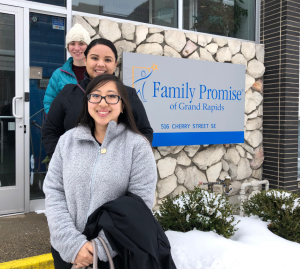 They dropped off donations from Family Promise to other organizations in the community. Family Promise provides families with shelter, basic needs, and assistance as they seek permanent housing. Thanks for having us, and we can’t wait to volunteer for you guys again!